We here among the TechnoBuffalo gaming staff like to talk regularly about the current games we’re looking forward to. Then, as night settles in, we wax nostalgic about games we remember. We want them back. Here, each editor takes a moment to regale you with the gaming sequels and revivals they want most. Eric Frederiksen: I was talking with my wife recently about games we missed from our teen years. The moment she started to say it, I knew what was coming, and she was right: Road Rash. 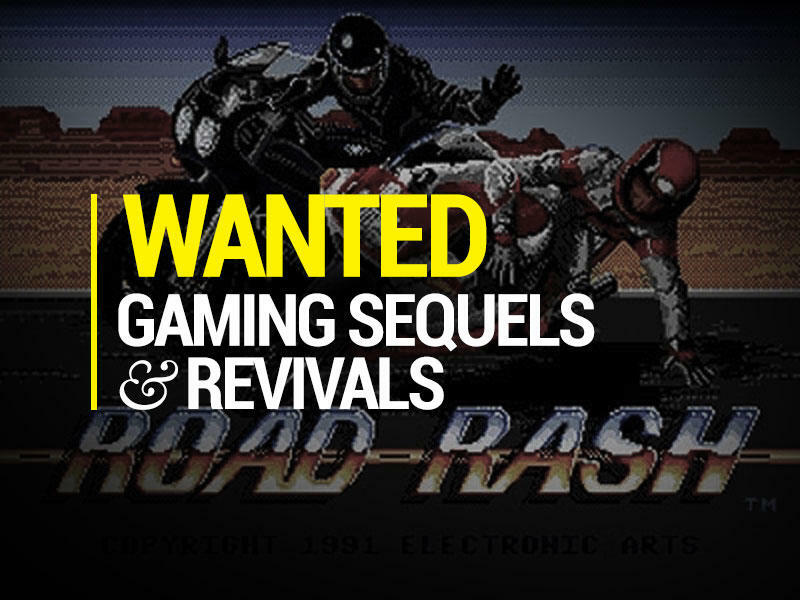 I sold my NES to get a Sega Genesis, and I remember Road Rash being a frequent rental. Thinking back, it’s hard to remember if it had a 2-player mode. I think it did, but even without it, I know my friends and I passed the controller around for hours. Those first few Road Rashes on Genesis hit a magical sweet spot with the combination of violence and speed that kept us thoroughly entranced for entire weekends. Even though it was brutal, there was something hilariously perfect about wrecking in Road Rash. Take a corner too fast, and you’ll find yourself spinning in mid-air above an ugly old sedan. You scramble up and run for your bike, and just as you get there, one of the guys behind you runs you over. And then the next guy hits your bike, sending it even further away from you as you run to get it. But, then there are those moments when things are going well, too: you’re heading toward the front, just barely evading every obstacle, but you’re making it. You’ve got the chain, and someone rolls up on you from behind. The feeling of whipping your opponent, defending your spot, was a great one. When I go back and watch old clips of Road Rash, though, I realize how simple it really was. That’s not a bad thing. 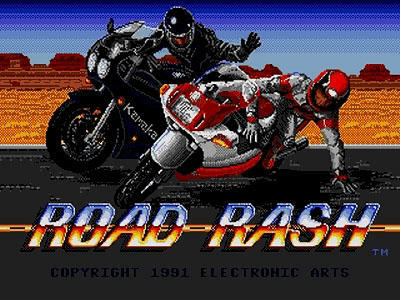 A Road Rash game could easily work on a touch device or as a full-blown AAA experience. On a touch screen, the controls would simply consist of touch zones that lean to the left and right for steering and a swipe to attack in a given direction. It would be pretty close to an update of the original. On consoles, however, the sky’s the limit. Give the game to Criterion and let ’em go nuts. An open-world bike brawler could be a lot of fun. A home garage would let you upgrade your bike, while dealers would let you buy entirely new ones. Racers could steal each others bikes, leaving victims on foot until they can find another bike. There were rumors almost five years ago about a return to the series, but they never materialized. A couple years after, the video below started making the rounds of gaming blogs, a proof of concept for a Road Rash revival that never made it beyond the planning stage. 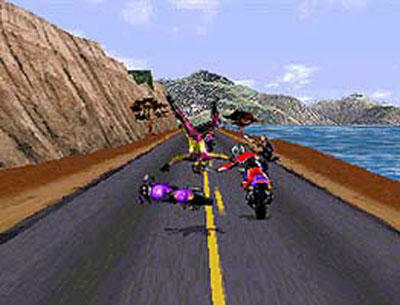 More than anything, it’s hard to understand exactly why Road Rash hasn’t gotten the revival so many other series have. What’s the hold up, EA? Joey Davidson: ToeJam & Earl. This was one of several key games that defined my childhood. When ToeJam & Earl launched on the Sega Genesis in the early 90s, it stood as a brilliant display of game design, humor and cooperative play. It also sported one of the era’s best gaming soundtracks. I want it back. I want the original designers, or perhaps someone who loved it as much as I did, to team up again and bring ToeJam & Earl back into the world of gaming. The duo are unlike any other pair running through our virtual playgrounds today. I’m not talking about a revival or sequel in the spirit of Panic on Funkotron, either. 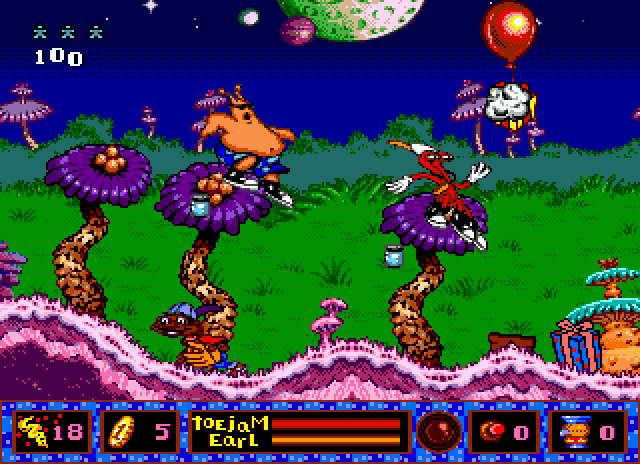 Johnson and Voorsanger, the game’s lead creators, supposedly pitched Sega on a sequel to ToeJam & Earl‘s original adventure. It was built with the same design principles as the first game. Too bad Sega apparently deemed it unmarketable and had the duo design it as a 2D sidescroller. Panic on Funkotron was a fun little game, but it wasn’t a true sequel to ToeJam & Earl. No. 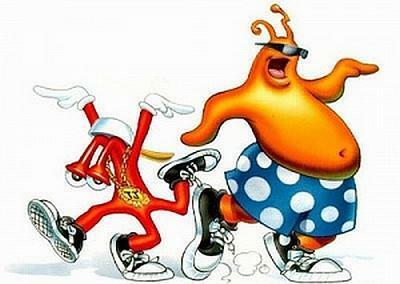 I want classic ToeJam & Earl. Have us crash land on an open world take on Earth (again, thanks to Earl) and search the planet’s surface for our wrecked ship parts. I want the duo to once more be alien rappers with a flare for early 90s hip hop. I want it to be hilarious, and I want it to be fun. Ron Duwell: It’s one thing to never see the sequel you’ve always wanted, but it’s a totally separate feeling to know it’s being diligently worked on and have it yanked out from under your nose! 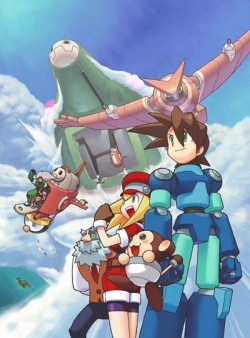 Where to begin with the Mega Man Legends games? Thankfully, these wonderful titles have stood the test of time and found their audience. Many originally dismissed them as another failed attempt for a traditionally 2D experience making the jump to 3D, but this was at a time before gamers could grasp open world games and before RPG mechanics were found in just about everything. It’s not like the PlayStation was devoid of traditional Mega Man games. Mega Man 8 and a trilogy of 32-bit Mega Man X games found their way to Sony’s CD based console. If eight robot masters and absorbing powers was your idea of fun at the time, then you had plenty of options beyond Mega Man Legends. These were new, exciting, fresh, and a wonderful bend on the series, which was already beyond stale at the time they were published. So the main question is not what do these games do wrong, but rather what do they do so right? Exploration, weapon customization, facial animation and voice acting, and solid third person shooting controls before the invention of dual-analog, these games were way beyond their time. More importantly though, one thing that sets the Mega Man Legends games apart from the traditional action games is that they actually create a setting and characters worth caring about. Zero and his back story are as deep as the traditional games get, and if it weren’t for fan fiction, comics, or browsing fansites, how much would you really know about the world of Mega Man? A crazy man uses construction robots to take over the world again and again, or a computer bug corrupts robots and make them evil. That’s the plot of every game. 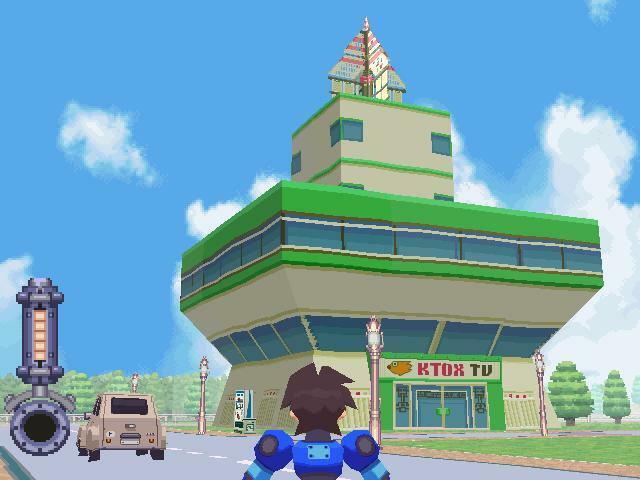 Mega Man Legends is a totally different style. These are not the Mega Man and Roll of the NES days, these are entirely new characters, trapped in their clearly defined world. They are given back stories, exposition, friends to share their hopes and dreams with, and clear-cut motivations for the actions they undertake. These were not mindless action games. These were boundary pushing storytelling devices that helped move video game narration in a proper direction. Which is why we need that sequel so badly! Mega Man Legends 2 ends with a cliffhanger after Mega Man launches himself to the moon with the all-powerful antagonist, sacrificing himself to save the planet. We know he’s alive, but we have no idea how he’s going to return home or how he plans to deal with the evil he’s stranded himself with. 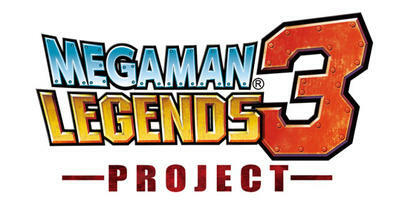 Excitement was abound when Mega Man Legends 3 was finally announced back in 2010 for the Nintendo 3DS. It might not have been an HD console game like fans were hoping for, but at least it was something. Production seemed to be progressing nicely for a time, but then Mega Man co-creator Keiji Inafune handed in his resignation to Capcom and left the company with two decades of wonderful hits under his belt. Even without him though, the team promised to press on, but news slowly began to fade out until it was officially that Capcom had pulled the plug on July 18th, 2011. A sad day indeed.